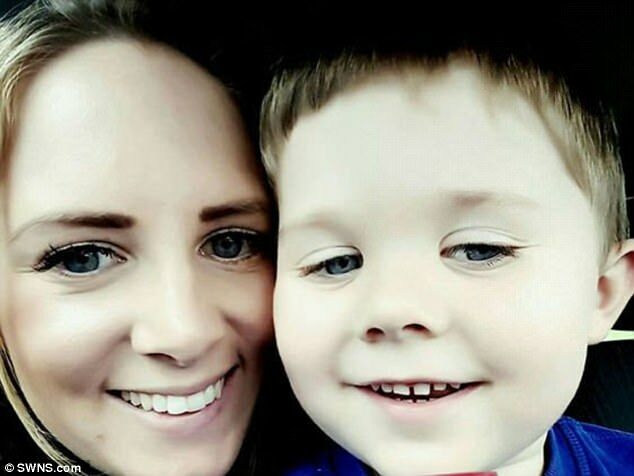 Jessica Green, 27, was horrified to get the anonymous note moaning about three-year-old Henry playing in the garden. Henry is autistic and non-verbal and often communicates through making noises and screeches. Mum said she was left furious by the letter which claimed to be from 'the residents and neighbours in the local area'. Addressed 'Dear Neighbour', it said the people living in Jess's street were 'sick to death' of hearing 'it playing outside'. Mum-of-two Jessica, who is a full-time carer for Henry, described it as "revolting" and said it left her "angry and concerned". 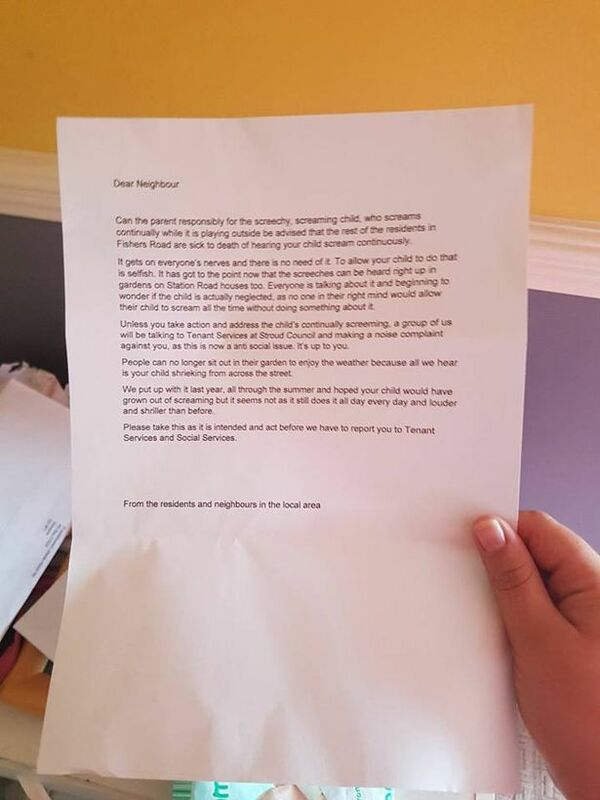 The letter, which she posted on Facebook, said: "Can the parent responsibly (sic) for the screechy, screaming child, who screams continually while it is playing outside be advised that the rest of the residents in Fishers Road are sick to death of hearing your child scream continuously. "It gets on everyone's nerves and there is no need of it (sic). To allow your child to do that is selfish. "It has got to the point now that the screeches can be heard right up in gardens on Station Road houses too. "Everyone is talking about it and beginning to wonder if the child is actually neglected, as no one in their right mind would allow their child to scream all the time without doing something about it. "Unless you take action and address the child's continually (sic) screaming, a group of us will be talking to Tenant Services at Stroud Council and making a noise complaint against you, as this is now a anti-social issue (sic). It's up to you. "People can no longer sit out in their garden to enjoy the weather because all we hear is your child shrieking from across the street. "We put up with it last year, all through the summer and hoped your child would have grown out of screaming but it seems not as it still does it all day every day and louder and shriller than before. "Please take this as it is intended and act before we have to report you to Tenant Services and Social Services." Jessica, of Berkeley, Glouscestershire, who lives with partner Josh Smith, 29, and daughter Halle, seven, said she wants to use the letter to raise awareness of autism. "I live in a lovely area in a council property but it is a nice community," she said. "In this situation you'd like to think the neighbour would come and address you personally. "It's appalling - they should have common courtesy to ask if the child's OK and I'm sure it is just the thoughts of one individual because other neighbours have come to my defence. "I want to make people aware of autism - they were too quick to make a judgement."